Digital transformation will be one of the main topics at Medica 2018. A range of discussions, presentations and speeches will take place across the Medica Health IT Forum and Medica Connected Healthcare Forum to update visitors of digital and IT trends within healthcare. Topics such as artificial intelligence, big data or cyber security measures will be discussed and innovative products and technology will be presented, from the wearable technology, telehealth and robotics and apps sectors. 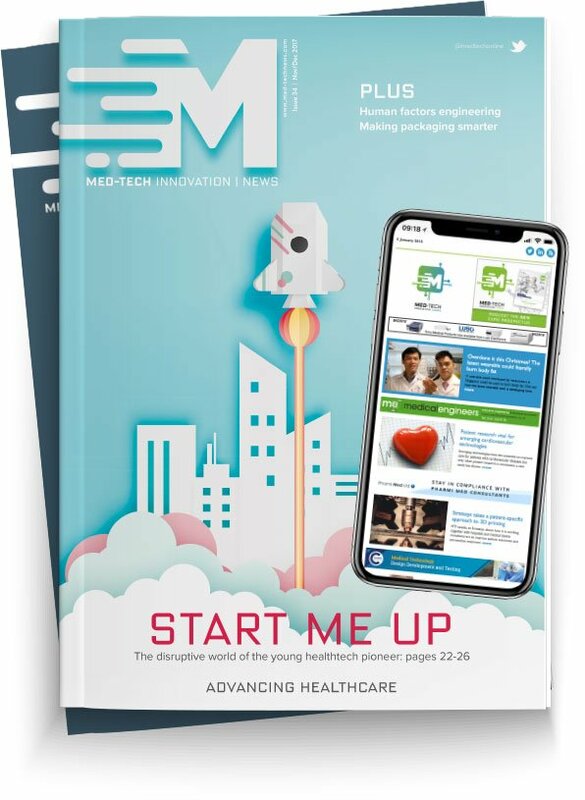 Last year, Medica saw success with its Start-Up Park, and this feature has now been made a firm fixture at the show. Young companies can present their ideas, primarily those for the digital health sector, and meet potential business partners. New attendee to the Start-Up Park, Magnosco commented on the platform. “As a new participant in the market, we want to get the word out on our unique methods for painless, non-invasive diagnostics. Medica offers us an excellent opportunity to meet different target groups within medicine as well as strategic partners and potential investors all under one roof”, said Larissa Middendorf, marketing and communications manager at Magnosco. The Medica Academy will once again be held as a certified further education event for doctors from various specialities. In addition to practical courses “on devices” (e.g. ultrasound) and updates on general medical diagnostics and therapeutic issues, digital topics are also on the program, in the form of sessions on cyber security in medical practices and best practices for telemedicine. Other program highlights at Medica 2018 include the DiMiMED conference for disaster and military medicine and the Medica Medicine + Sports Confernce (respectively on 13 and 14 November 2018 / Congress Center Düsseldorf South) that will be focusing on prevention and sports medical treatment concepts. The conferences will be held in English and are geared towards an international audience. The 41st German Hospital Conference (12 – 15 November), a communication platform for decision makers from hospitals, primarily seeks to address a German specialist audience, as does the Medica Physio Conference. With its treatment-oriented presentations, it is directed towards the professional scene of physiotherapists, sports medicine specialists and orthopaedists and is taking place this year on 14 and 15 November (Congress Center Düsseldorf South). Other forums that are integrated into the Medica trade fair include the Medica LabMed Forum (trends from the medical laboratory sector), the Medica Econ Forum for discussions on healthcare policy and the Medica Tech forum, for market-relevant topics ranging from technology to science and legal conditions. Medica takes place 12 – 15 November in Düsseldorf, Germany.